The Seoul Awards, honoring achievement on both the big and small screens in Korea, held their 2nd edition on October 27. 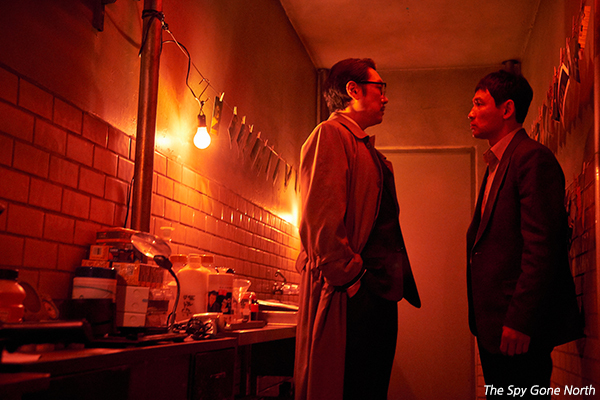 Taking the Grand Prize in the film section was YOON Jong-bin’s espionage drama The Spy Gone North. Premiering in the midnight lineup of the Cannes Film Festival this year, The Spy Gone North features HWANG Jung-min as an undercover South Korean operative posing as a business man in the 1990s to acquire information about North Korea’s nuclear plans. The top acting prizes went to SON Ye-jin for the popular melodrama Be With You, a remake of the 2004 Japanese film of the same name, and HA Jung-woo for Along with the Gods: The Two Worlds (2017), the fantasy epic webtoon adaptation that welcomed over 14 million viewers last winter to become the second most successful Korean film of all time. Busy performer JU Ji-hoon was named Best Supporting Actor for his roles in The Spy Gone North and Along with the Gods: The Two Worlds while Best Supporting Actress was given to YE Soo-jung, for her part in Along with the Gods: The Two Worlds. Breakout sensation KIM Da-mi was crowned Best New Actress for the action-thriller The Witch : Part 1. The Subversion and NAM Joo-hyuk won Best New Actor for the hit period siege action-drama The Great Battle.